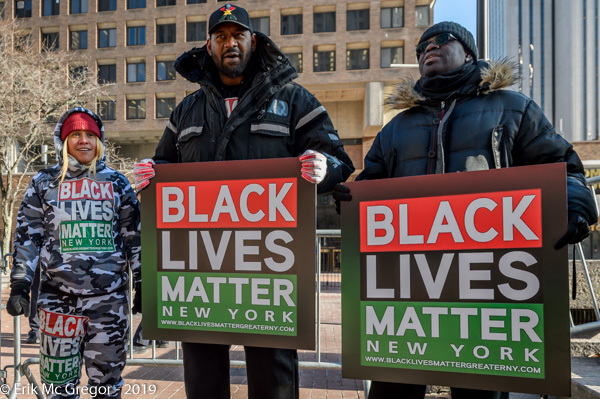 New York, NY – The Black Lives Matter of Greater New York Youth Coalition brought together the family of Andrew Kearse and one of the two men attacked by the NYPD with batons. 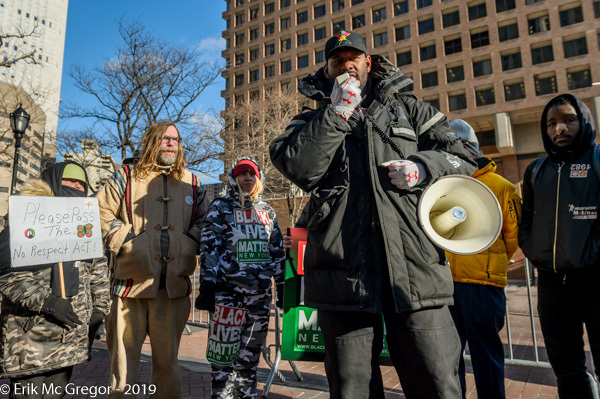 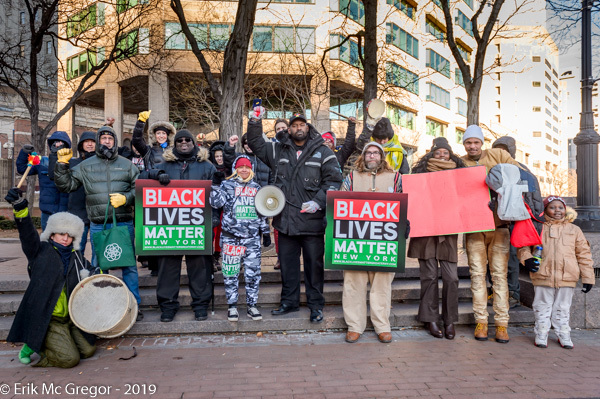 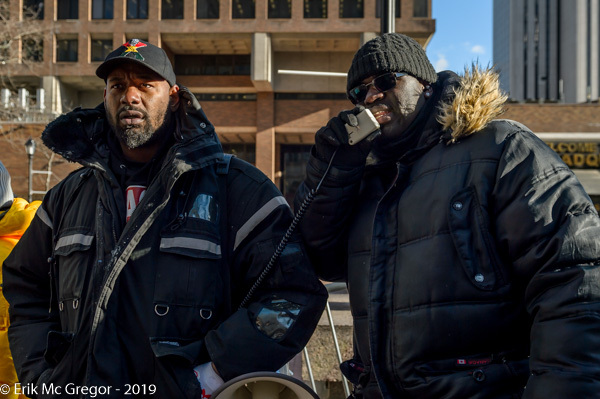 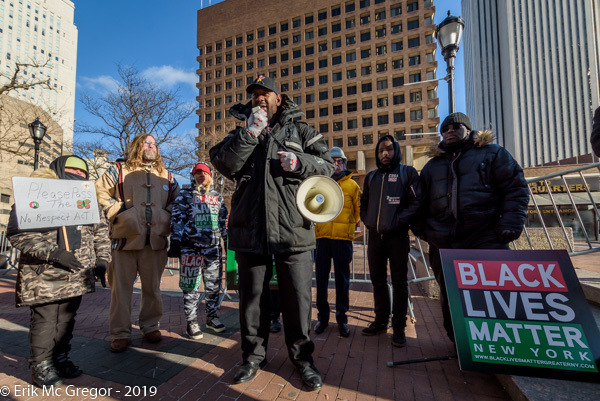 The group rallied on January 21, 2019 at the public area outside of NYPD Headquarters to let them know that the spirit of Dr. Martin Luther King, Jr.’s Dream is not present in their Policing. 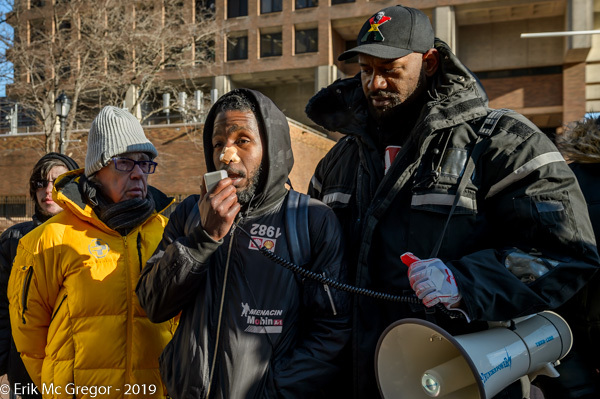 Sidney Williams, one of the men attacked by NYPD officers in the viral baton bashing video addressed the public for the first time at this rally. 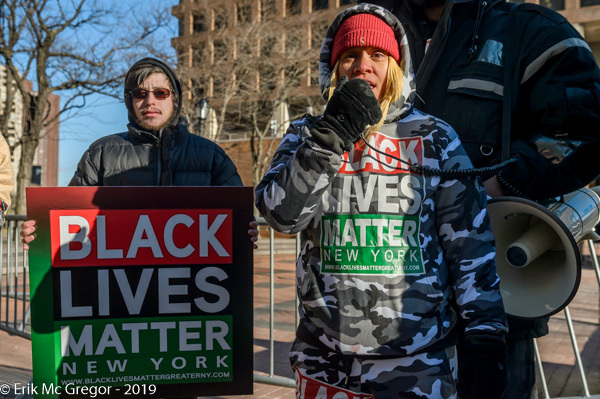 Angelique Negroni-Kearse, wife of Andrew Kearse from #JusticeForAndrewKearse spoke on the #AndrewKearseAct, a bill being introduced by Assembly Member Nathalia Fernandez which would mandate law enforcement and correctional agents in the state to provide medical assistance when needed by those in custody. 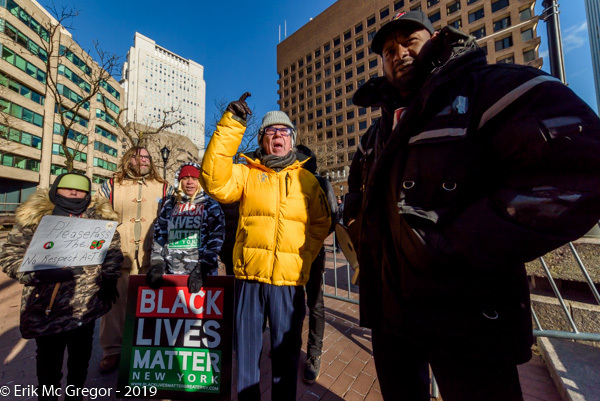 There were also statements shared by BLMNY organizer and activist Hawk Newsome, civil rights attorney Sanford Rubenstein and community activist Anthony Beckford.